The concept of ‘free running’ is applied to pulsed laser and signifies the pumping process continues for a sufficient time to maintain lasing condition and laser output. The pulse duration of laser oscillated in this process lies in the µs (10⁻⁶ seconds) to ms (10⁻³ seconds) range with solid state lasers doped with Nd+3, Er+3, Ho+3, etc., alexandrite laser of Al₂BeO₄ crystal doped with chromium:Cr+3, ruby laser of sapphire (Al₂O₃) doped with chromium and Ti:sapphire laser doped with titanium:Ti⁺³. It is determined by the pumping source. Therefore, operation mode of pulsed laser is described as free-running unless other types such as Q-switching and mode-locking, etc. are defined. The pumping source is determined by the upper level lifetime of the gain medium. For example, the upper level lifetime of YAG crystal doped with rare minerals such as Nd:YAG or solid state lasers mentioned above ranges from several µs to hundreds of µs. Therefore, suitable power supply for the flash-lamp is required. Moreover, in the excimer laser, a type of gas laser, the upper level lifetime varies depending on the mixing ratio and pressure of the gas. However, with the upper level lifetime of 10-30ns in most cases, a power supply unit with a short electrical discharge time is needed. The dye laser, a liquid laser, can use flash lamp pumping or gas laser with pulse duration in ns range (excimer laser or nitrogen laser) or solid state laser. With flash lamp pumping, a power supply unit that can operate the lamp in a short duration is required. As gas laser, liquid laser or metal vapor lasers such as copper vapor laser have very short upper level lifetime, pulse-mode oscillation of laser requires suitable discharge circuit. The pulse duration of these lasers is short (in ns, 10⁻⁹ seconds) as in the Q-switched laser. Despite the short pulse duration, these lasers are said to employ the free running mode of laser oscillation. A commercial laser is generally 4 level lasers. These lasers have much shorter lifetime of electrons staying at level 2 compared to level 3, due to quick population inversion between two levels, and thereby allowing easy pumping. Most lasers have this energy level structure. On the other hand, 3 level lasers are less energy-efficient as they have a much greater number of electrons at level 1 compared to level 2 and as such, require high pumping energy for population inversion and subsequent laser oscillation. 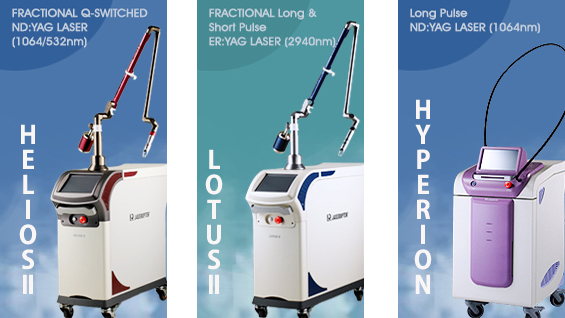 The most well-known laser with this energy structure is the ruby laser. Although the ruby laser was the first laser to be developed, due to its low efficiency, it is rarely used today.